Line up all you dynamic duos and fabulous families! The lights are shining and the catwalk is ready. It is time for the Edna Mode Fashion Fantastica! Take your seats because they are going to go faster than Dash after three sodas! You've seen the bright red jumpsuit. You've seen the stretchy fabric and light-refracting tech. But, it is time to finish off all those amazing looks. You think that the friction nullifying suit is enough to strike concern in the hearts of villains!? Never! No Edna Mode is complete until Edna Mode gives the A-OK and she is finding your look just a little lacking. 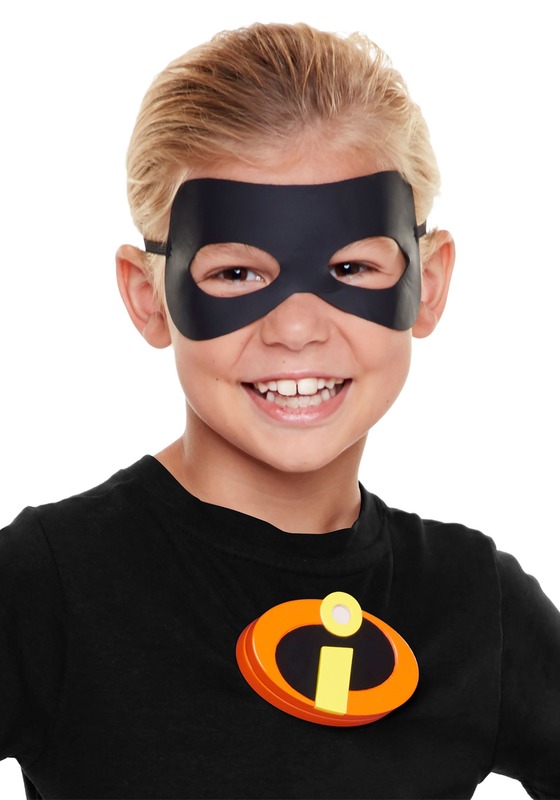 Fortunately, there is this Incredibles 2 Costume Gear Set around to help you go from superhero to superb-hero! 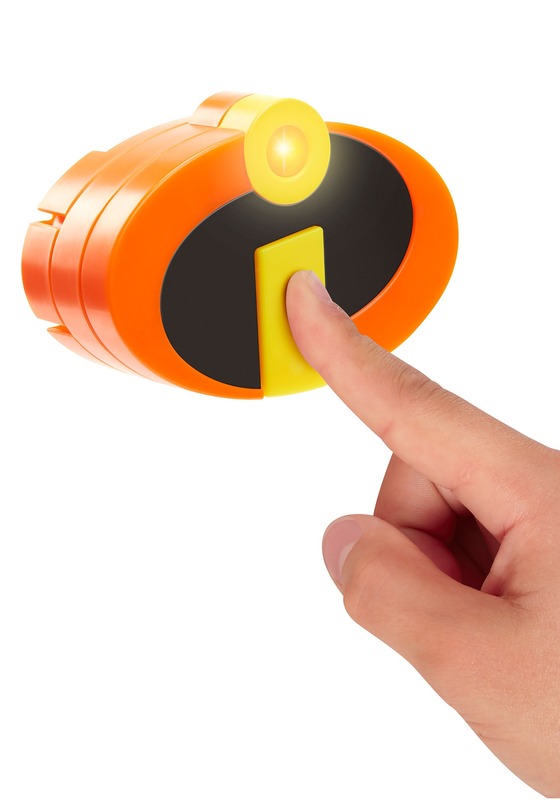 Begin with the Incredibles patch insignia and stay connected with the rest of your team. Add in black gloves with the same iconic I. 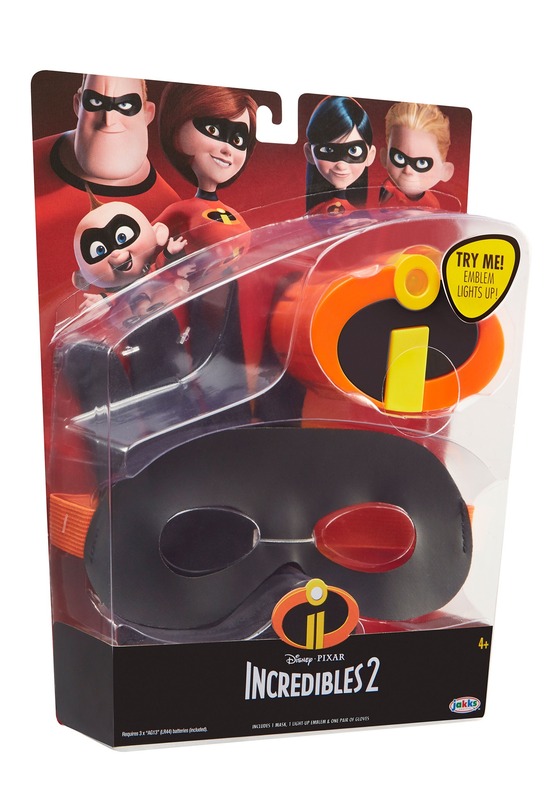 Black mask for identity protection? Not enough! Add in a flashy elastic band and it is marvelous! STOP ENEMIES IN THEIR TRACKS... WITH STYLE! You won't even need to depend on any silly superpowers to stop the baddies when they see you walking up to them flashing these fantastic accessories. 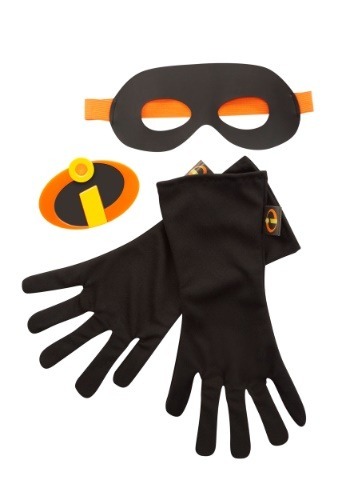 From black gloves and bright orange accents, they'll be rushing to learn your secret identity, not to defeat you... but to figure out who your designer is!